Helicobacter pylori bacteria are involved in gastroduodenal disorders, including gastric adenocarcinoma. Since the current therapies encounter with some significant shortcomings, much attention has been paid to the development of new alternative diagnostic and treatment modalities such as immunomedicines to target H. pylori. 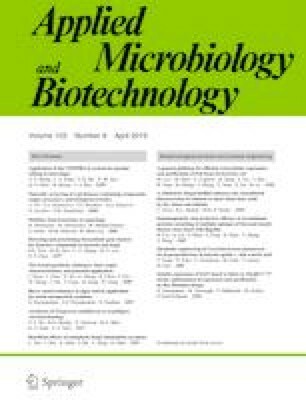 Having used phage display technology, we isolated fully humane small antibody (Ab) fragment (VL) against the Flap region of urease enzyme of H. pylori to suppress its enzymatic activity. Solution biopanning (SPB) and screening process against a customized biotinylated peptide corresponding to the enzyme Flap region resulted in the selection of VL single domain Abs confirmed by the enzyme-linked immunosorbent assay (ELISA), sodium dodecyl sulfate-polyacrylamide gel electrophoresis (SDS-PAGE), and Western blotting. The selected Ab fragments showed a high affinity with a KD value of 97.8 × 10−9 and specificity to the enzyme with high inhibitory impact. For the first time, a VL single domain Ab was isolated by SPB process against a critical segment of H. pylori urease using a diverse semi-synthetic library. Based on our findings, the selected VL Ab fragments can be used for the diagnosis, imaging, targeting, and/or immunotherapy of H. pylori. Further, Flap region shows great potential for vaccine therapy. Mehdi Fouladi and Shamim Sarhadi contributed equally to this work. The online version of this article ( https://doi.org/10.1007/s00253-019-09674-6) contains supplementary material, which is available to authorized users. The authors like to thank all the members of the Research Center for Pharmaceutical Nanotechnology, Biomedicine Institute at Tabriz University of Medical Sciences for the technical support. The authors also like to thank Dr. Hengameh Zandi and Mr. Reza Mousavi for the gift of reagents used in the preparation of H. pylori culture. This work was financially supported by the Research Center for Pharmaceutical Nanotechnology at Tabriz University of Medical Sciences (grant no. RCPN-93006 and 93016). The ethical approval for the use of patients’ samples was obtained from the Ethical Committee of Tabriz University of Medical Sciences. All the gastric patients admitted to Imam Reza Hospital (Tabriz, Iran), whose fresh and positive urease biopsy samples were used in this current study, were informed on the use of the samples for the study with written consents.